This booking photo released Wednesday, Dec. 26, 2018, by the York County Sheriff's Office shows Derek Tarbox, arrested on burglary charges. 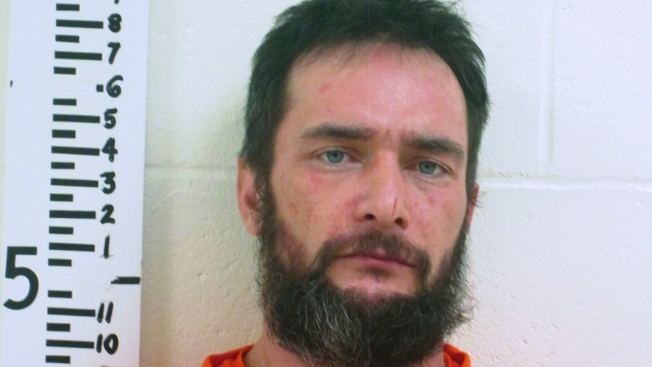 The sheriff's office said Tarbox broke into a Waterboro, Maine, home Sunday afternoon, took a shower, got dressed in the homeowner's clothing and was watching television when the homeowner arrived. He told the homeowner he mistakenly thought the house belonged to a friend and asked for a ride to what he claimed was his home. A Maine man is facing a number of charges after authorities say he broke into a Waterboro home, grabbed a bite to eat, took a shower, then got a car ride from his victim. Derek Tarbox, 35, of Standish, was arrested Sunday and is facing charges of class B burglary, two counts of unauthorized use of property, leaving the scene of property damage accident, failure to report an accident and theft by unauthorized taking. The York County Sheriff's Office said Tarbox was found watching television when a Bennet Hill Road resident arrived home Sunday. Authorities said Tarbox told the homeowner he mistakenly thought the house belonged to a friend and asked for a ride home. The homeowner told authorities that seemed plausible, so he drove him to a house in Hollis, which actually belonged to Tarbox's relatives. When the victim returned, he realized his home had been ransacked and that Tarbox had broken in through a back door. According to WCSH-TV, the homeowner called police and deputies and troopers were able to quickly apprehend Tarbox without incident. Through an investigation with Maine State Police, authorities also learned that Tarbox had allegedly stolen a vehicle in Portland prior to the break-in and ran out of gas in Hollis where he allegedly stole another vehicle and drove it to the Bennet Hill Road home where he went off the road and crashed. Authorities said that's when Tarbox walked to the victim's house where he broke in. Tarbox was expected to be arraigned Dec. 26. It's unclear if he has an attorney. He's scheduled to appear in Alfred Superior Court on Feb. 8, 2019.